Facebook Watch is available globally, but still, people do not know about it. Do you know what Facebook watch is? Or do you know how marketers will use Facebook Watch? You may have thousands of questions regarding Facebook Watch, and I am here to answer all of them. Today, I will help you learn everything about the Facebook watch. On August 9, 2017 Facebook has officially announced the launch of Facebook Watch. 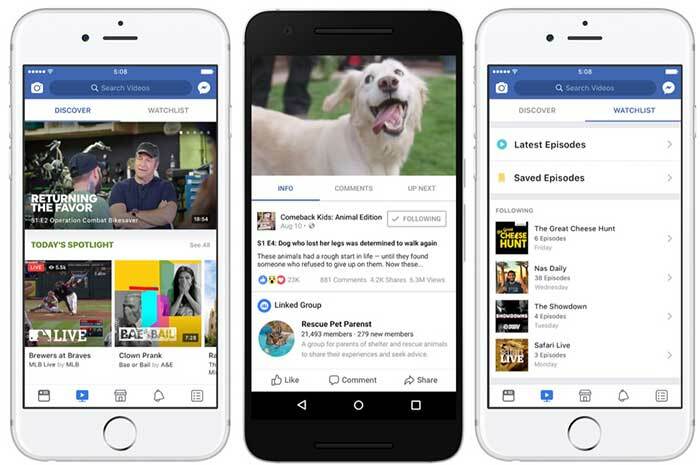 The Facebook watch was launched as a platform to run shows on Facebook. Watch is available on all the devices such as a laptop, desktop, and mobile. Most of the time you will find shows which are live or recorded during an event. It was launched to make it easy for people to have the conversation with the creators of the videos or shows. In Facebook Watch you will find the video content produced by partners. Partners or creators are earning 55% advertising commission from Facebook Watch. On Facebook watch publishers and creators can create and upload videos to engage with audience build the social fan base and monetize their efforts. There are people like Nas Daily who create videos with fans and feature them on Facebook watch. This makes him highly popular among fans and attracts more fans to his videos. Gabby Bernstein share recorded videos and live episodes. She is a New York Times bestselling author, life coach and motivational speaker. This way she connects with real fans. If you love watching kids cook as the professional chef, then you should watch Tastemade's Kitchen little. Shows with a theme bring all the benefits of micro niche blogging. Live events for communities is a great way to engage the member of a particular community. This way you can target the community and engage the visitors with your videos. On August 29th 2018, Facebook has announced that Facebook watch is going global. Now you can find watch parties, engage with videos and save your favorite videos. How to Monetize Facebook Watch or Make Money with Videos on Facebook? To monetize your videos, you need to join Facebook Ad break program. You can check if you are eligible to join Facebook ad break program by visiting this link. 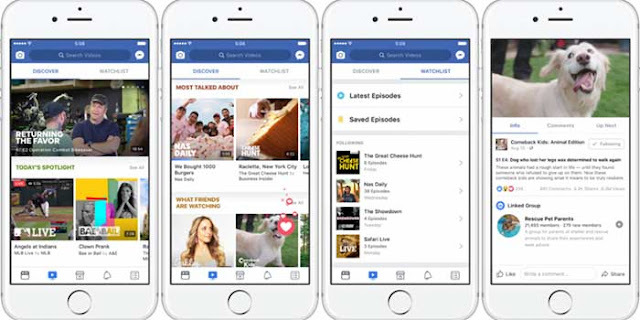 How is Facebook Watch Different from other Video Streaming Platforms? The world of video streaming sites and apps is crowded. There is head to head competition in online video marketing world. The video streaming giant YouTube is already there. Facebook is continuously working make Facebook Watch to stand out of the crowd. Let's see how Facebook watch is different from other streaming services. Original video content is the beauty of Facebook Watch. You will not find similar quality content on most of the video streaming sites. Facebook push creators and developers to create unique and engaging content. Facebook Watch is free for the audience. Creators can monetize it with Facebook ad break. Facebook Watch is a hyper-personalized video platform. Why is Facebook Watch Important for Business? Facebook Watch is not just another video platform. 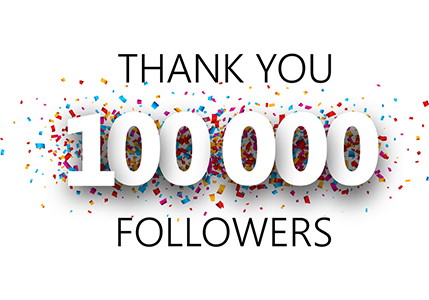 It is placed to engage with viewers and build community. Billions of users spend time on Facebook every day. This means there are multiple opportunities for marketers to utilize Facebook to build the community around their brand or service. The massive number of Facebook user base makes it easy for Facebook Watch to grab eyeballs. Every marketer, blogger or business want to attract more and more traffic to generate more leads. The Facebook watch is going to be helpful to the target audience. 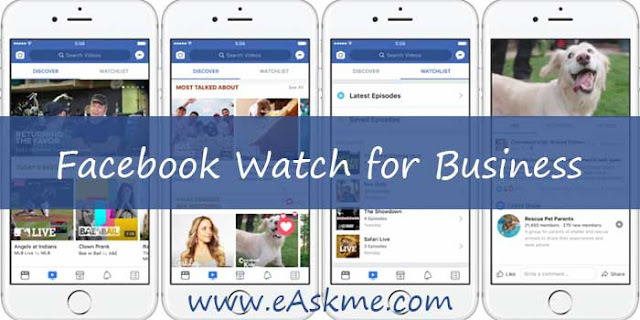 Facebook Watch will also help you to grow subscribers for your brand. For every advertiser, it is necessary to create campaigns to target the specific audience. Facebook advertising is a platform where every online business wants to attract maximum users to their companies. Facebook Watch brings additional features and engagement level where marketers can target the already engaging viewers. Even if your ads are not able to perform in the Facebook news feed, still Facebook watch is the place where you can turn things into your favor. Facebook watch make the users watch the complete ad, and this is undoubtedly helpful for a business. There is no way a viewer can skip the ad. Facebook Watch run ad breaks. But, publishers can opt out and publish or tag their sponsors in the video. This is another way to make money online. You can include images, video-graphers, documentarians and actors who want to grow with influencer marketing. Facebook watch videos will display in the feed of those who subscribe to the program or who have similar interest. Facebook live is a favorite tool for marketers and webmasters. Even if the Facebook watch is not available for newbies yet Facebook live is there where influencers can learn the way to present themselves on Facebook videos and create super engaging content. The experience with Facebook live will surely help webmasters and marketers to create engaging videos for Facebook Watch. Facebook Watch is there to help you build community. The best a marketer can get by creating a community-oriented video series. You may have already seen lots of video content in your news feed such as reality shows, sports, documentaries, etc. Facebook Watch | is that for you? There is no doubt that Facebook Watch is for all. Not just for marketers but also viewers.